Have you ever imagined what it’s like to be so far down, that no matter what you do, you can’t rise up again? Whatever we imagine, I don’t see how it can come close to understanding the actual experience. But you don’t have to know or understand how it feels to be in the pit in order to do something to lift others out of it. As we dig into the solutions that are working in Santa Cruz to improve outcomes for the homeless and the business and residential communities they function in, it must be pointed out that homelessness is a very complex problem that affects every community across the nation. In some communities it’s out of control, and there are as yet no win-win situations for all the stakeholders in this complicated situation. In others, there are wins all over the place. Many people in Santa Cruz have a sense that it’s so far out of control here that we need to just “ship ’em all out,” let it be someone else’s problem. But the four organizations we’re featuring this month don’t see it that way. We think that they can be best described as bringing together the assets of multiple organizations and individual volunteers to address all the issues involved in becoming homeless, in living with dignity while being homeless, and climbing out of the mire of homelessness to become again a self-confident, healthy member of the community. From its start in 2011, Wings developed a well-organized structure that supports their advocates, partners, and participants. They work closely with 30+ case managers from more than 11 County and City organizations. They do this by coordinating task requests and assignments among those organizations, which provides flexibility for advocates and volunteers to work within their schedules. We reached out to Jil Castagnola, Executive Director of Wings, and Peggy Benedum, co-founder & President, to ask them just how they accomplish their daunting goals. Bay Area Non-Profit News – What was it that you saw that prompted you to get involved in this way to improve the homeless situation in Santa Cruz County? Jil Castagnola – The sheer magnitude of the problem. The lack of compassion our society has for our community members experiencing a very difficult time in their lives. BANPN – I understand this is a simplistic question about a complex approach, but what are the general steps you follow from initial request to positive outcome? Peggy Benedum – We actually have a pretty simple system. Partner case managers use a proprietary electronic request form to submit a task. Our dispatchers route that request to the appropriate subset of volunteers (Some like to give rides, for example. Others like to move furniture…) Within 24 hours, volunteers respond to the dispatchers and the case managers are then notified if we have a “match” or not. This system allows volunteers to say a guilt-free “no” if necessary, avoid a long-term commitment, and feel the confidence of knowing the case managers have our back and will not send us into a situation that a volunteer couldn’t handle. JC – First of all compassion, listening skills and a smile. Yes, it does sound so simple. Showing true compassion for their place in our community can change their life course. Having someone believe in them. Which is what our welcome baskets show. We are saying we believe in you..WELCOME HOME! 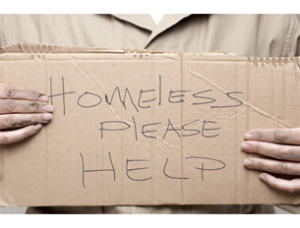 BANPN – In the multiplicity of causes of becoming homeless and staying homeless, is there one that stands out to you as a key to resolving in order to stop the cycle from starting in the first place? PB – It is our experience that the causes of homelessness are as unique and complicated as the individual, and the most successful programs recognize this and use a trauma-informed approach to any care or services. Wings believes in the power of volunteerism and showing compassion and humanity to others. It may not be enough in and of itself to solve or prevent homelessness, but it’s a powerful step in the right direction and very easy to do! JC – One is more funding for mental health and addiction. Two would be more Case Managers. It’s very hard to advocate for oneself when you don’t have the ability. Case Managers in our county have a difficult job, their case loads are large, and resources are low. BANPN – What is your biggest challenge in Santa Cruz County? JC – Space, whether it is a spot in a shelter and/or a permanent affordable home. The housing market in Santa Cruz is rough for even the fully employed. Add in mental/physical issues, chronic homelessness, lack of funds, transportation…it’s overwhelming! That is why creative housing should be one of our continued focus. Santa Cruz is taking steps..like the River St Camp, the Navigation site, churches looking at their space to have tiny houses or vehicle on site. Also, larger housing plans similar to the proposed new building on HSC Campus…this type of thinking and support from all members in our community will help with the homeless issue. While certainly there are things that can be done about homelessness at the City and County level, the best way to bring positive changes to the community is for the members of that community to take positive action. If you’d like to learn more about how YOU can be part of the solution to this complex issue in your community, visit the web page or contact Wings Homeless Advocacy, where you can register to attend the next Wings orientation/training session on SATURDAY, Apr 28th.